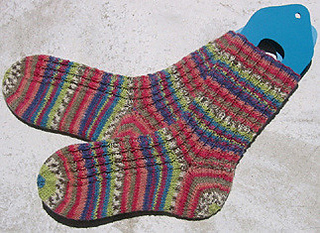 Knit with ONline SUPERSOCKE on size 2 needles with a gauge of 7 sts per inch to fit a women’s medium foot. 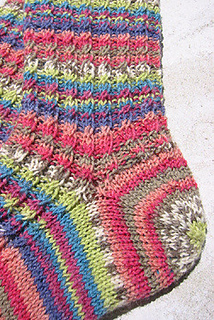 For women’s small, knit on size 1 needles with a gauge of 8 sts per inch. This pattern is for your personal use only. Reproduction in any manner is strictly forbidden without written permission. 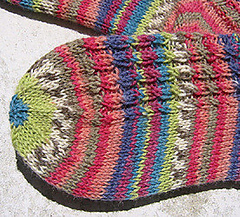 This pattern may not be used to create items for resale.